El perro del mar, nom de plume of Gothenburg’s Sarah (don’t know her last name), started making music in December 2003, already having worked with fellow Swede Jens Lekman and receiving acclaim for her self-titled album, out on Memphis Industries (UK’s home to the Pipettes and the Go! Team). El perro del mar is full of mournful yet somehow hopeful melodies completely focused on Sarah’s voice. It might as well be an a capella album, as she provides her own “ba ba ba’s” and handclaps to showcase her beautiful whispering voice. Download El perro del mar from eMusic. 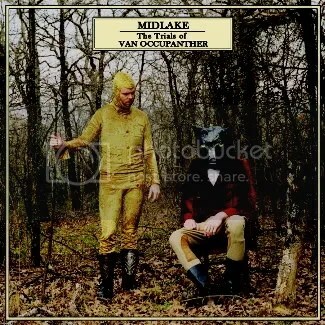 I know you’ve already heard 40,000 people telling you Midlake’s new album The Trials of Van Occupanther is the new shiz, but now I’m hear to tell you it is. When I first got the album I was thinking “Okay so nothing on this album’s gonna hold up to ‘Roscoe.’ You guys were kinda dumb putting it as the first track cause that’s all anyone’s gonna listen to.” But then I got to track two, “Bandits,” and was re-thinking it. And then I hit “Head Home” and it was all over. This album is one of the best Fleetwood Mac sound-alike records you’ll hear all year, making it one of the best too. Their first album Bamnam & Silvercork (guys what does that even mean?) was okay but all the keyboards got a little boring/annoying. I’m not a big Flaming Lips fan so it didn’t speak much to me. So I was pretty darn glad to get ahold of this one, because it’s amazing. Yaay today is my birthday. What other kid you know gets Sharpie highlighters and a watch for his birthday? Jens Lekman sent me these songs for my birthday. So loving. PS in case you don’t know how old I am, ¡Forward, Russia! does! Happy birthday! Throw away that MySpace rip, here’s an official first look at the Rapture’s new album Pieces of the People We Love. 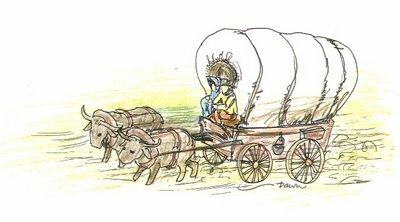 I feel pretty ashamed for not posting on yesterday’s Mormon holiday Pioneer Day. 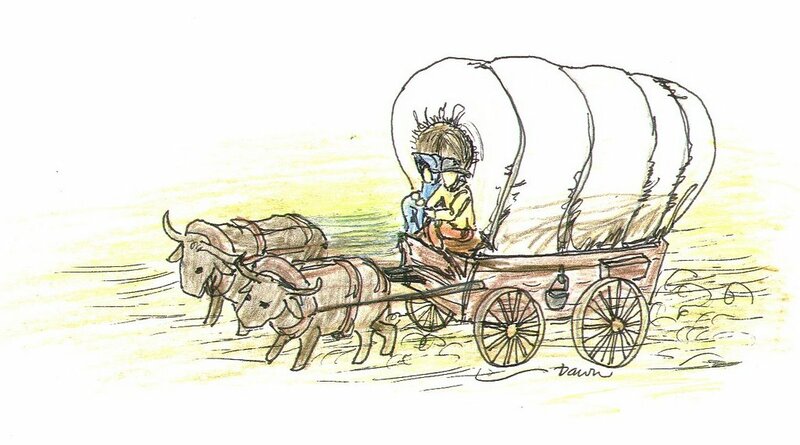 In Utah they make a huge deal of it (getting off for school and parades) to commemorate crossing the plains to found Utah. So uhh here’s the only song I could find about pioneers re-done for different times. Sorry I don’t have any Mormon folk music to share, or even some Mormon Tabernacle Choir. The Long Winters return to the scene with their new album Putting the Days to Bed on Barsuk Records. Singer John Roderick’s voice isn’t really like singing, just sort of a lilting talking voice. I saw them opening for the Decemberists a couple years ago and he was a pretty funny guy on stage, and the self-deprecating lyrics in the songs from When I Pretend to Fall didn’t exactly have me falling head over heels, but I was interested in the new album, a new leaf. Putting the Days to Bed feels much the same as When I Pretend to Fall, but more like a person who’s been through more break-ups than long-lasting relationships. Roderick’s pining melodies make Putting the Days to Bed worth hanging onto. Buy Putting the Days to Bed from Barsuk. Have a good weekend guys! I’m gonna be peacing it with the family all weekend so I probably won’t be posting. Stay sweet. Alela Diane sort of reminds me of Joanna Newsom in spirit but really nothing in sound. I don’t know who she sounds like, but her voice is soulful and mysterious. Her newest CD The Pirate’s Gospel is eerie and definitely folk if nothing else. A good genre would be, as her MySpace describes it, campfire gospel. Buy The Pirate’s Gospel directly from Alela on her website.